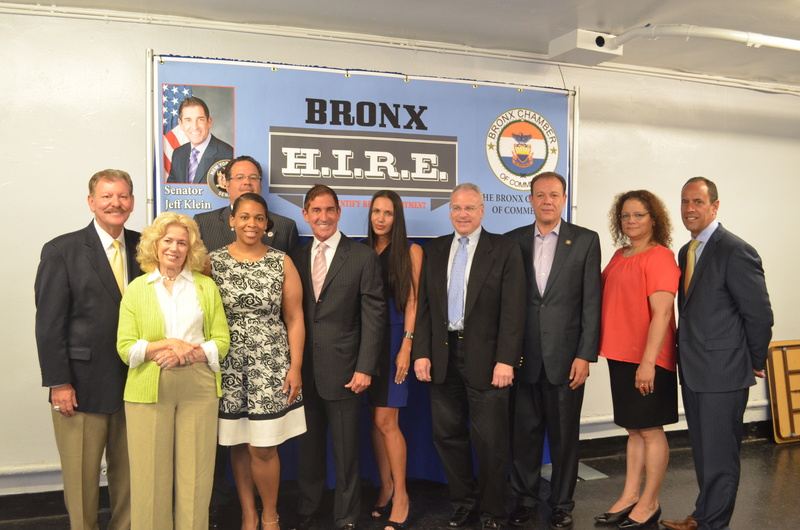 Senator Jeff Klein (D-Bronx/Westchester), along with members of the Bronx Chamber of Commerce, hosted a Bronx H.I.R.E. job fair at Hutchinson Metro Center Wednesday afternoon aimed at helping veterans secure employment. The job fair drew more than 100 job seekers. The event followed the Bronx Chamber of Commerce’s Annual Veterans Luncheon at F & J Pine Tavern in Bronxdale. 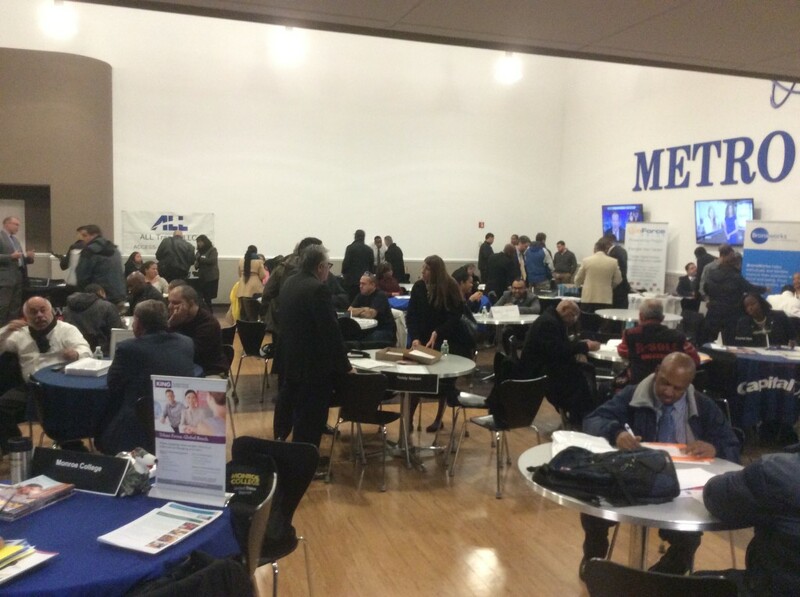 At the event, attendees had the opportunity to network with fellow veterans and organizations that assist the veteran community, connect with Bronx-based employers – big and small – that are currently hiring, and participate in on-site interviews. Companies on-hand included: Bronx Works; Capital One; Daily News Digital; LA Fitness; Manhattan Parking Group; Maritime College; Metro Plus; Renaissance Home Health Care; Teddy Nissan; Urban Health Plan; and Westchester Square Plumbing. “Our veterans served this country with dedication and honor and now it is our time to give back. Since its inception, the Bronx H.I.R.E. program has shown that businesses are investing in the Bronx and the Bronx worker. I am confident that through this job fair, geared specifically towards veterans, we’ll be able to get good paying jobs for our former servicemen and women who currently need them,” said State Senator Jeff Klein. “As a result of Senator Klein’s funding, we can connect employers with returning veterans. Well over 30 employers will be on site to accept resumes and even conduct on-the-spot interviews. This job fair will be a great networking opportunity for all attendees, who also will have access to resources at our information booths. 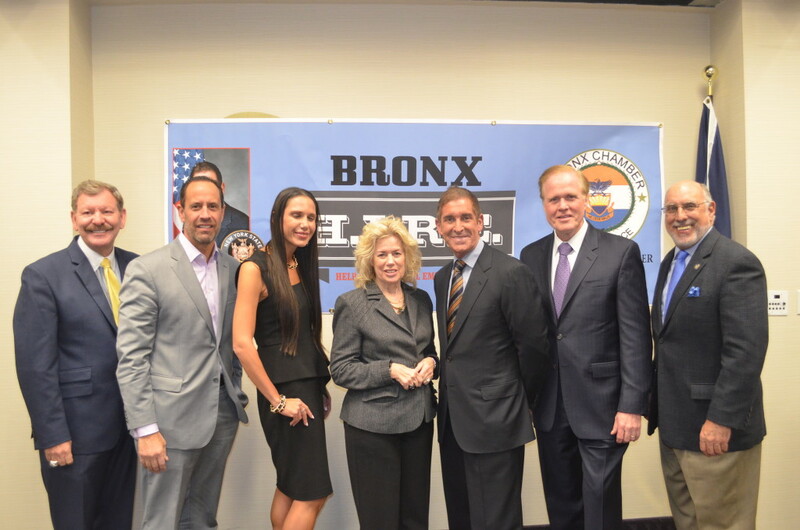 Employers have been very receptive to meeting with the veterans, and Senator Klein’s Jobs for Heroes Bill has also helped further spur job creation for veterans,” said Michelle Dolgow Cristofaro, Bronx Chamber of Commerce Chief-of-Staff and H.I.R.E. Administrator. “We thank our veterans for their service. Don’t forget the people that fought for us, which is why we are here today. It is important to give back and the chamber does so with our annual luncheon and now job fair,” said Lenny Caro, President and CEO of The Bronx Chamber of Commerce. “The borough of The Bronx has provided the armed forces with thousands of members, and as always we owe them a debt of gratitude. Now is the time to show our grateful appreciation to them and to their families for their sacrifices. This job fair is one way to give back to our veterans,” said the Honorable June Eisland, Eisland Strategies and Vice President of The Bronx Chamber of Commerce. “The men and women who commit to serving our country deserve our thanks, and this job fair is a great opportunity to honor their service. New businesses and developments are choosing to invest in our great borough, which produces more jobs and hopefully Bronx veterans can benefit,” said Joseph Kelleher, Chairman of The Bronx Chamber of Commerce and President and COO of The Hutchinson Metro Center. Bronx H.I.R.E (Help Identify Real Employment) is a unique jobs program aimed at connecting Bronx workers with real jobs through a comprehensive, direct approach developed by Senator Klein’s office and the Bronx Chamber of Commerce. The Bronx H.I.R.E. program, announced in July, is made possible through a $200,000 grant secured by Senator Klein in this year’s state budget. The program consist of two parts – one that will make sure that the new and existing Bronx businesses and institutions are employing Bronx residents and the other that will establish a hands- on worker development program. The second part of this program, known as the “Opening Doors Initiative” will give Bronx workers an opportunity to receive support for additional certifications, help with resumes, interviews, applications and assistance with follow-up for positions to which H.I.R.E. participants have applied. The program will be facilitated by the Bronx Chamber of Commerce.